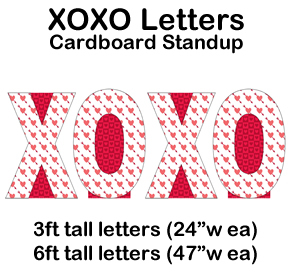 XOXO Letters Cardboard Cutout Standup Prop - Dino Rentos Studios, INC. 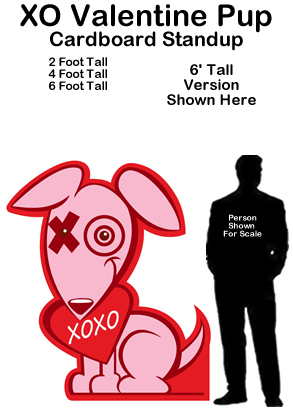 This XOXO Letters Cardboard Cutout Standup Prop is great for any Valentine's Day or any Anniversary or Wedding display or production! Kit includes all 4 letters. Choose any size below or call us for custom sizes.